Copyright and Trademarks… What’s Legal? PART 3: Who Owns My Book Cover and Title? DISCLAIMER: I am NOT an attorney, nor do I play one on the Internet. This article contains my experience and opinions only and is not intended to replace legal advice from an industry professional. Now, on to Part 3… Who Owns What? Who owns your book cover or title? If someone copies your book cover design, is it copyright infringement or a simple case of flattery? What many authors don’t realize is cover designs are protected by copyright. This means if your book cover looks very similar to one already published in layout, colors, font styles, imagery, etc., you’ve broken copyright law. Cover designs reflect the hours that the author put into branding the book as their own, and copyright law exists to protect brands and consumer recognition. If a consumer sees two book covers that look very similar, at first glance they’ll make an assumption that both belong to the same author or same book series. To the consumer, both authors endorseeach others’ books, which not only is usually untrue, it’s even more dangerous if both books happen to be in the same genre. The authors of the legitimate book took legal action, and rightfully so. They began getting questions from their customers asking about the other book. This means there was buyer confusion, and this isn’t good for their brand or their reputation. Your reputation as an author of quality work should be so important to you that you both take a stand for your hard work and investment and don’t copy someone else’s. Your book should be a unique reflection of you, no matter how much you love a particular design you come across in your research. Because while “imitation” may be the “sincerest form of flattery,” too much imitation can land you into a heap of trouble and possibly a court room. How would your reputation as a quality author look once the public finds out about a lawsuit where you were the one in the wrong? Exactly. Some books win look-alike contests on purpose. It’s not necessarily that the author’s trying to steal customers from another book series. It’s when the book is a parody of the original. This is where the law gets gray. (Remember, I’m NOT an IP attorney!) While parodies can be fun, some brands may not appreciate the parody. And if the parody is detrimental to the brand and devalues it, or worse, makes fun of it to the point the original brand becomes tainted, that brand has every legal right to sue the crap out of the infringer for both copyright infringement and defamation of character. Usually in a parody situation, the results are harmless and the parody popularizes the original brand even more, helping the original make more sales. The second exception is the use of templates (I recommend these…) with little to no changes. There are plenty of reasons not to use templates and a proper way to use them, but template designs are not copyrightable without significant change to make it your own design. Saturday Night Live is most well-known for its parodies. They’re so popular, often even the original actors will re-enact scenes in the silliest ways. It’s good for a laugh, it shows another facet of the actor that the public may be unaware of, and it solidifies the brand of the movie to help increase sales. It’s a win all the way around. Then there’s the not-so-funny scenario. One of my good friends is a very prominent speaker and wellness advocate. She’s internationally known and published with a major traditional publishing house. One day she called me in a panic. She sent me a website I’d never heard of and asked what I thought of it. I noticed right away, this website looked exactly like hers. That is, at first glance it did. From the domain name to the tag line to the colors and even right down to the layout and logo, even the site’s content and subject matter was similar! At first, I thought I was looking at her new site until she told me it wasn’t hers. Then I noticed subtle, tiny differences, like the placement of ads, the header text being in an almost-identical-but-not-quite font, etc. She ended up pursuing legal action and getting the site shut down. In the case of SNL, copycatting something and infringing copyright is no-harm-no-foul. It doesn’t hurt (most) people’s reputations and it’s done in good fun. But in the second case, my friend’s brand was under attack. The copycat was in the same industry, with the same type of information being shared, and blatantly copied the look and feel of my friend’s website. It’s the same with book covers. 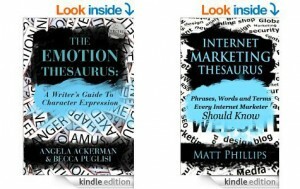 Book covers are an author’s projection of their brand to their audience. They serve a similar purpose as a website, logo, business card or any other form of copyrighted branding material. Copy it and you’re attacking that brand. So Who Really Owns My Book Cover? According to the Graphic Artist’s Guild Handbook of Pricing and Ethical Guidelines and the United States Copyright Office, the original creator of the work owns the copyright. This means if you designed your own book cover, you own the copyright to that design (including the layout, how fonts and images are used, etc.). If you hired a professional cover designer, THEY own the copyright. Now don’t freak out yet! When I designed covers professionally for authors, I always granted them rights to use the covers in whatever they needed, from print to Kindle to PDF to their website and other marketing materials. Any designer should do this. But the original files were mine, unless the actual copyright was purchased separately. If you’re unsure if you own the actual copyright to your book cover, one sign is if the designer supplied you with the original design files in whatever program they used. This, however, in no way says that you now hold the copyright to that design. You should have it in writing that all copyright is transferred to you, the author. That makes it legal. Titles are considered commonly-used words and phrases, so they’re not protected by copyright. This is why you’ll find many books with similar or even identical titles. Series titles can be protected by trademark. This means if you try to use a series title that has a “TM” or ® next to it, you can get into legal trouble if you use that same title for your book or series. So while you don’t need to worry too much about your book title, make sure you do your research before using a title that’s part of another book series title. Do look for source material. When I was a pro designer for others, I told my authors to send me 3 covers they loved and 3 they hated and why for each before beginning any design project. This helped me discover what attracted them, the font styles they liked, their favorite types of images and colors, etc. I encourage you to do the same whether you design your own cover or outsource it. Combine ideas. Using your source material, combine those elements you like from the source material and eliminate those you dislike and create something unique. DO NOT choose only one book cover design as your source material and inspiration. That almost guarantees you’ll end up copycatting. Post it for feedback. Post your near-final design on social media and ask your friends for feedback. Make sure your design isn’t copying any of your source ideas too closely. 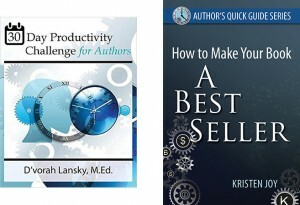 For example… I’m in the process of rebranding my Author’s Quick Guide Series. I was inspired by one of my coaching students in how she used a specific design element (gears) and shades of my favorite color (blue) in her cover design. However, I know better than to play copycat to the design she worked for hours to create, so I spent several hours of my own playing around with various ideas and other sources of inspiration before I came up with my desired finished result. The image on the left is her inspiration and the one on the right is my final design. Similar in feel, but different enough to stand apart on its own. This is an example of not infringing on copyright. So How Do I Know My Design is Unique Enough? 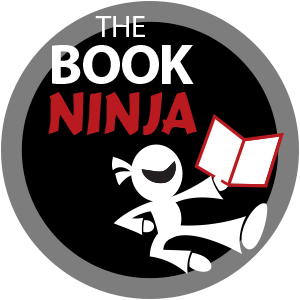 And if you’re ready to create your own professional book cover, check out my course Author’s Quick Course: How to Design a Book Cover that Sells inside The Book Ninja Academy. The bottom line is this… Be YOU. Quit trying to be someone else. Quit trying to look like someone else. If book design isn’t your forte, then outsource it to a designer who understands copyright law. Be creative and enjoy the process! Leave your thoughts in a comment below… Then click here to continue reading Copyright and Trademarks… What’s Legal? Part 4: Can I Include Quotes in My Book? Previous PostCopyright and Trademarks... What's Legal? PART 4: Can I Include Quotes in My Book?